In this gallery are included sites which use modern form of Bulgarian Cyrillic. The goal is improving typographic literacy and appreciation. “SOCMUS – virtual museum of socialist era graphic design in Bulgaria” is a project of the potographer Nikola Mihov and the architects Martin Angelov and Valeri Gyurov. „SOCMUS” is a virtual museum that presents different sections of the Bulgarian graphic design from the socialist era (1944-1989). The project is fully focused on the artistic value of the works and not on their historic or political context. The collection of SOCMUS is periodically updated, the blog of the museum presents significant socialist era artists and other thematically related projects. SOCMUS is not related to any political, private or governmental organizations or cultural institutions. 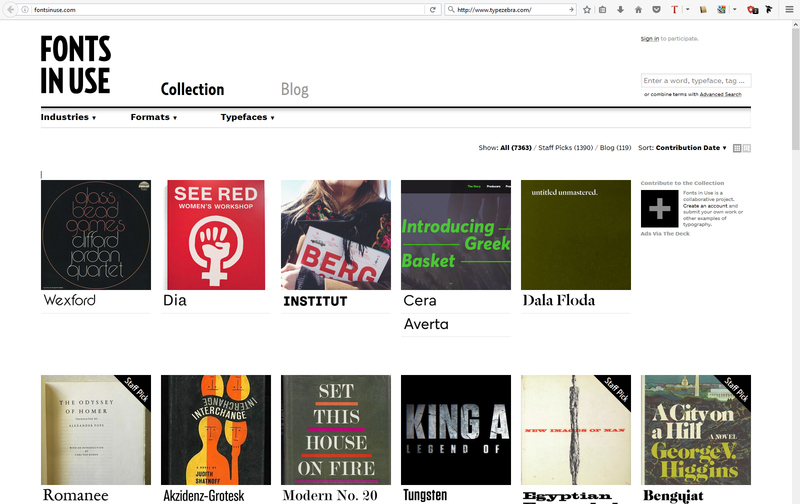 Fonts In Use is a public archive of typography indexed by typeface, format, and industry. We document and examine graphic design with the goal of improving typographic literacy and appreciation.